Akona ® Polymer-Modified Concrete Resurfacer is a special, acrylic, polymer-modified cement used to resurface spalled and/or damaged interior and exterior concrete surfaces such as steps, patios, garage floors, and sidewalks. Akona Concrete Resurfacer bonds and dries to a concrete gray color. 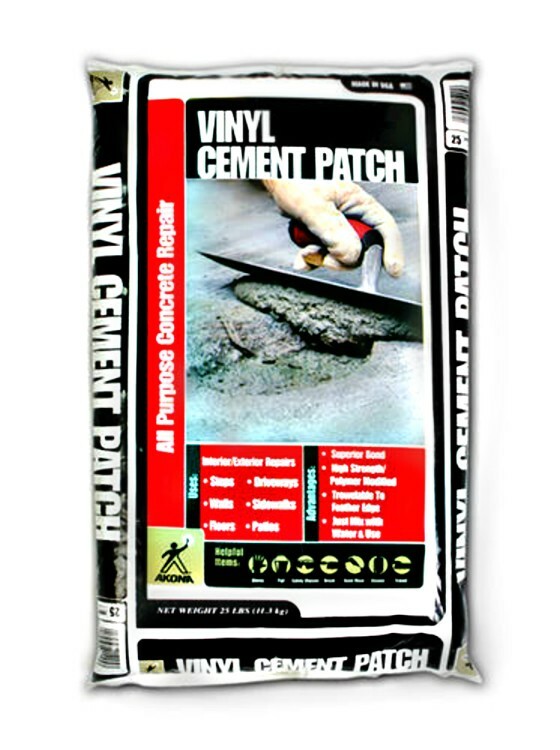 This high-strength product has superior bond and is trowelable to from 1/4 in. down to 1/8 in. (6 to 3 mm). It may be trowel or broom finished, and is available in a 25 lb. bag (BOM #102642).